foursquare day philippines | Badudets Everything Nice! Do you have Foursquare installed in your mobile phones? I do, it’s so fun to “check-in” at places and gain mayorship for that place. I was able to get a free dessert in a restaurant just because I checked-in, haha, being a Foursquare user has its perks too. 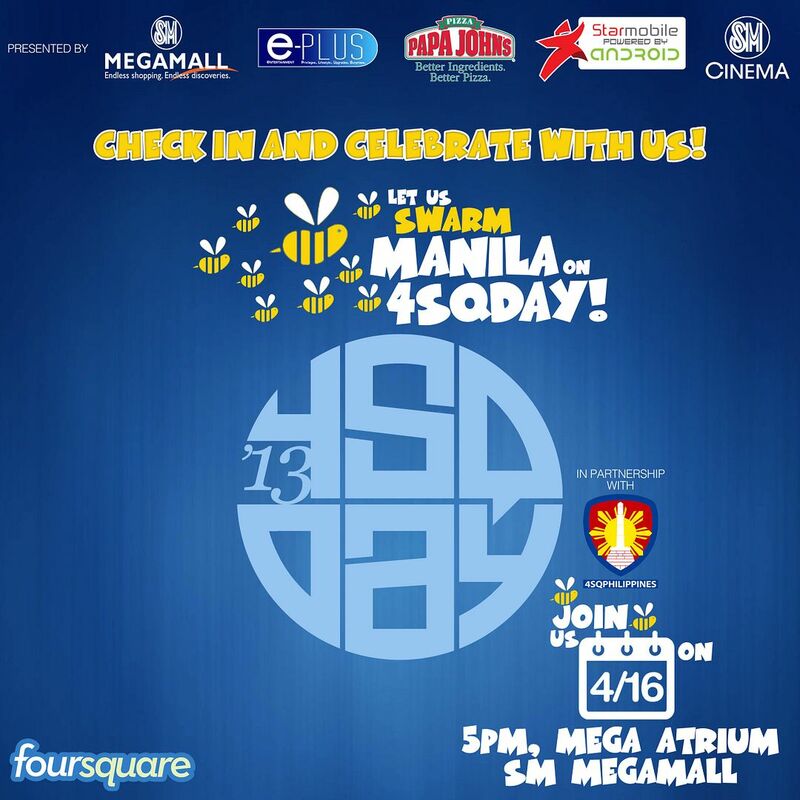 On April 16, 2013, join me and other Foursquare users as we celebrate Foursquare Day #4SqDay at the Mega Atrium, SM Megamall, 5 pm.